Movie night is the best. During these winter months when it’s just a tiny bit too cold to spend a lot of time outdoors, watching movies together as a family is such a fun and awesome way to bond. 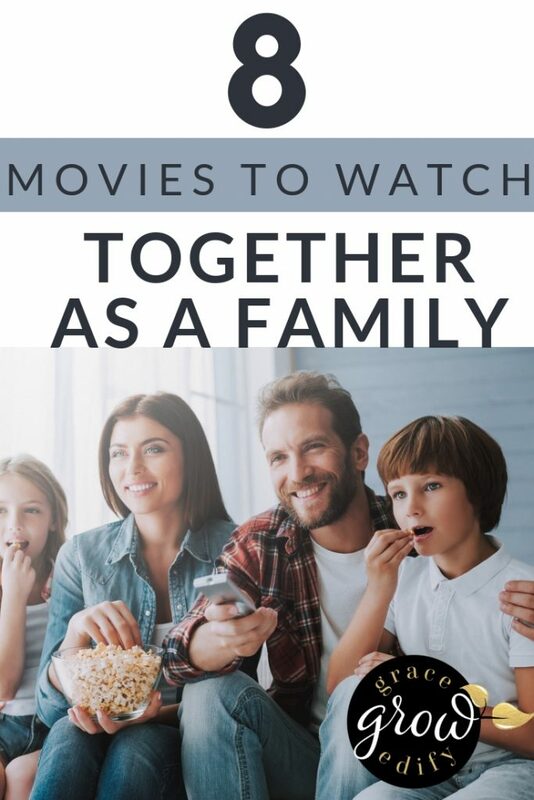 Chosen wisely, movies can also launch your family into some great conversation topics as well and really open up those lines of communications with your children. Be aware, not all movies are created equal. Finding appropriate movies that are suitable for an entire family to watch together can take time and patience, but they do exist. Looking for a list to get you started? Freaky Friday. The original. Yes, the one from way before when your children were born. This movie is a classic. Introduce your children to the land of laughter where a mom and daughter switch personalities while remaining in their same bodies. It may open a few eyes as well in showing that sometimes it isn’t easy walking in someone else’s shoes. Great comedy, two thumbs up. Up. A true heartwarming, tear-jerker full of adventure and laughter. It’s an emotional roller coaster of a movie, but your family will enjoy the entire ride from start to finish. Based on an elderly man, missing his deceased wife, and trying to find where he belongs in the present. He spent his entire life loving and searching for adventures with his wife, which he thought ended when she passed, only to find out that he had many new adventures waiting for him once he opened his eyes to the surroundings around him. The Goonies. “Baby Ruth!” This movie has it all. Adventure, laughs, bad guys and a few curse words along the way. While the rating for this movie may say PG, screen it first to see if you find it appropriate for your younger ones. The Princess Bride. True Love! A fairy tale book, brought to life. Another movie full of lost love, castles, tricks and poison! With an amazing cast of characters throughout. The movie begins with a grandpa reading the book, “The Princess Bride”, to his grandson who is home sick in bed. Initially, the young boy wants nothing to do with hearing the story because it’s about love…but he soon becomes so engrossed in what his grandfather is reading, that he can’t wait for him to read more. Recommend this for older aged children due to language and a few fight scenes. Matilda. This movie will make your children thankful that they have parents like you! Based on a young girl who loves to read, while stuck in a family who loves their TV and their “things” more than anything else in life. You and your crew will find yourselves rooting for Matilda and all her shenanigans that she pulls as she grows older, smarter and braver. Go Matilda go! Cars. Such a great intro into movies for a younger child. Full of life lessons of friendship and the impact of making choices, your kids will be on the end of their seat until the ending credits roll. The Christmas Story. Not only does this movie make the list, it should be considered a tradition to watch together each and every holiday season. You’ll fall in love with this family and their journey. It brings the magic of Christmas into your hearts, while doing an awesome job of factoring in real life issues such as bullies, lying and the pain of growing up in a world where you don’t quite know your place. Big. Have your family snuggle in to watch this comedy based upon a boy making a wish to be big. Who can forget the piano scene? Classic. In my opinion, the 8 movies listed above are top choices for movies to enjoy as a family. While most are comedies of some sort, they also do a great job of balancing that with true life lessons. As always, research and screen movies to see if they are appropriate for your home and the values that you have instilled in your children. Not all movie recommendations are created equal so make certain to educate yourself first. Once you have a few movies picked out ready to watch, pop some popcorn, grab the fuzziest blankets you can find, and bunker down for an awesome family movie night!